PCD Pharma Franchise in West Bengal – Want the best PCD pharma companies to list in Kolkata? Looking for top pharma Franchise Company in India for PCD pharma franchise? Biofield Pharma welcomes all those who are looking for PCD pharma franchise in West Bengal in current cities like Kolkata, Siliguri, Durgapur, Murshidabad, Asansol etc. We are looking for dedicated and hardworking new members in this East Indian state, West Bengal. If you think you have the conviction and dedication to start your own franchise venture then connecting with Biofield Pharma is the best option for you. PCD franchise is a good business startup idea in West Bengal to earn money. Here you can get good demand for quality medicines and thus, you can start off with your own business. 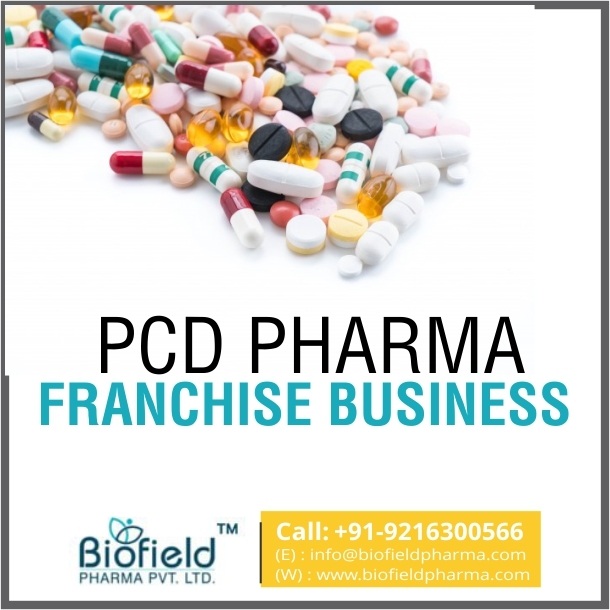 Biofield Pharma is offering PCD pharma franchise in West Bengal. We are covering all the pharmaceuticals drug markets like gynecology, dermatology, powders, general medicines, pediatric medicines, nutraceuticals, diabetics, cardiology etc. The drugs list is approved by DCGI. Here you will get therapeutic medicines covering antibiotics, antihistamine, analgesics, multivitamins, anti-infective etc at best rates. You will enjoy a vast range of medicine list for monopoly pharma PCD franchise business. If you want a good conversation with our company, you can call us at +91-9216300566, +91-9216300166. You can even choose to message us through email at info@biofieldpharma.com or you can choose to leave a test message through our contact inquiry form. We also provide a live chat option to chat directly with our preventatives for best customer experience. Why Start Pharma Franchise Business in West Bengal? The government has been expanding its hands to extend the number of hospitals and clinics. The number of medical professionals is increasing. This has helped create good demand for pharmaceuticals medicines and products range. You will get good business here though PCD franchise. People are investing more in healthcare and medical facilities. They are getting more conscious about their health which has helped in increasing the demand anonymously. The PCD Franchise business is expanding vigorously and this is a good chance to start your own business. West Bengal has a good healthcare system and is transforming with time. This business will bring better business for everyone who owns the PCD franchise. Here, you will be offered with good marketing strategies that will help you meet the newer demands and create your own business demand. Our company has been very professional in these matters to bring better solutions to our associates. We have been bringing in better business distribution opportunities for people looking for genuine business dealerships. Biofield Pharma welcomes everyone from everyone across West Bengal for Pharma Franchise business deal at most effective plans. Tablets, Capsules, Caplets, Softgels etc. Syrups, oral suspensions, dry syrups. These cover different markets like gynecology, pediatrics, dermatology, nutraceuticals, diabetic, cardiology, general medicine etc. They are all available for pharma franchise at best rates in the market. You can connect with us and know more about our company franchise services and deals near you. We will be offering promotional tool support made using the best marketing strategies for better growth. They are offered free of cost. Genuine targets for sales are provided to the PCD franchise owner on a frequent basis. You will get good incentives, bonus and many attractive schemes to uplift your business presence. Quick delivery will be provided by the company. Marketing strategic support is provided to all the PCD franchise owners. You get assistance in every step of business building and expansive opportunities. You can even talk to our customer executive and discuss the potential future with our company. We serve only the best is our motto. We believe in raising our standards and thus, bring a good range of promotional to products list. Our company searched for members for long-term dealing. Our company appreciated serious contenders for our franchise business and if you have it within you then we have the best opportunity.